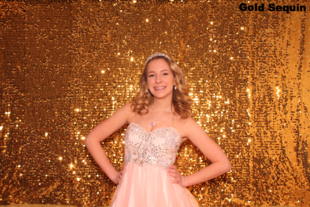 Capturing Memories One Smile At a Time! 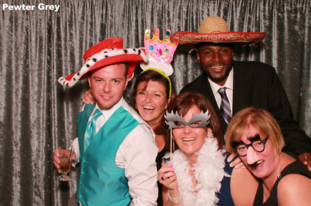 Looking to make your event unforgettable? 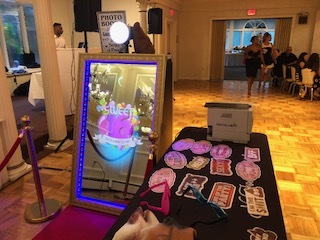 Our photo booths are a huge hit and add fun at all types of events — weddings, sweet 16s, parties, school events, corporate events, fundraisers — the possibilities are endless. 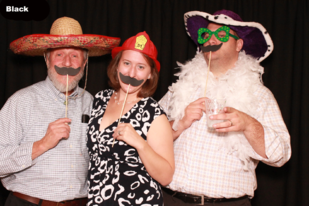 The customized prints also make great favors and are a long-lasting reminder of the wonderful time everyone had. 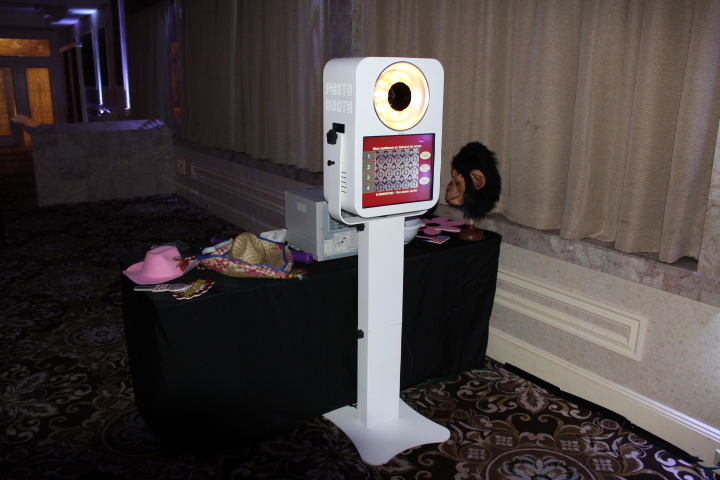 Photo Booth Rentals also make a great gift idea for the bridal couple as a shower or wedding gift, and as a birthday or anniversary gift. All our booths are Standing Booths; there are no seats provided. 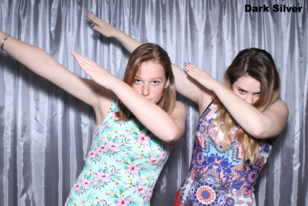 This makes it easier to get more people in the pictures and for everyone to move around freely. We offer three styles: Pedestal, Tower and Mirror. Availability is based on a “First-come, First-served” basis. 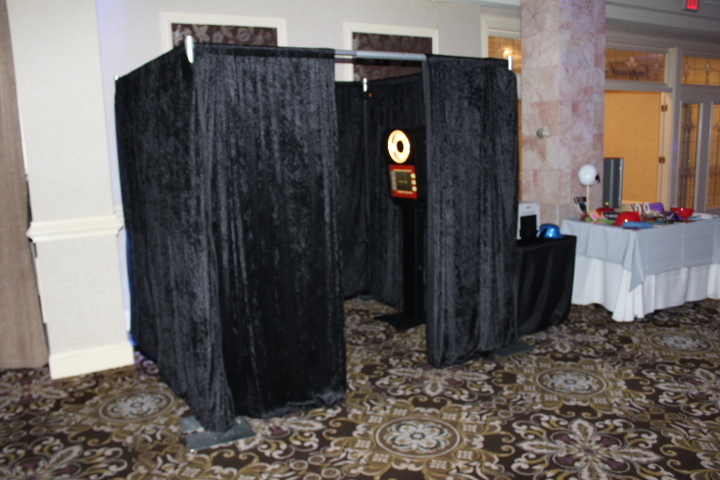 With all booths, we provide your choice of backdrop curtain color. 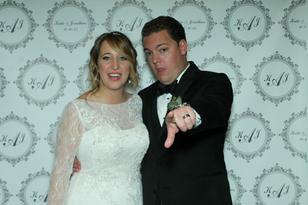 We will also gladly put up your custom backdrop or a “Step and Repeat” backdrop. FREESTANDING OPEN: Since it’s open on the sides, large groups can squeeze together in front of it and everyone outside the booth gets a kick out of watching the antics. 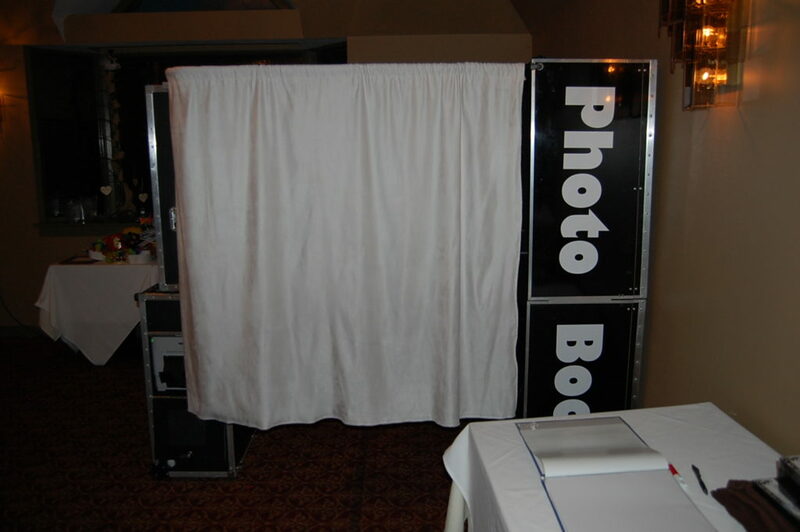 Backdrop curtain is 4’ to 7′ wide (we set it up based on space availability). 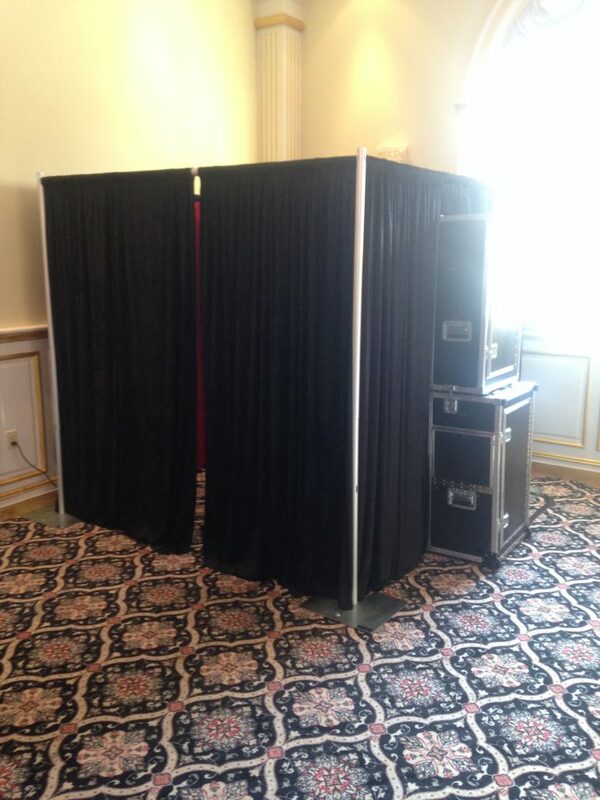 ENCLOSED LOUNGE: Also known as Pipe & Drape, this is a “room” with all four sides of black drapes and adjustable sizes. 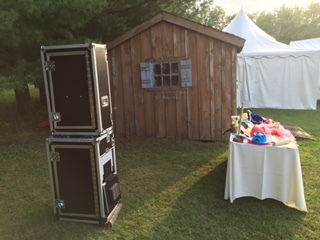 With the largest 7×7′ size, you get the best of both worlds… large groups and privacy! 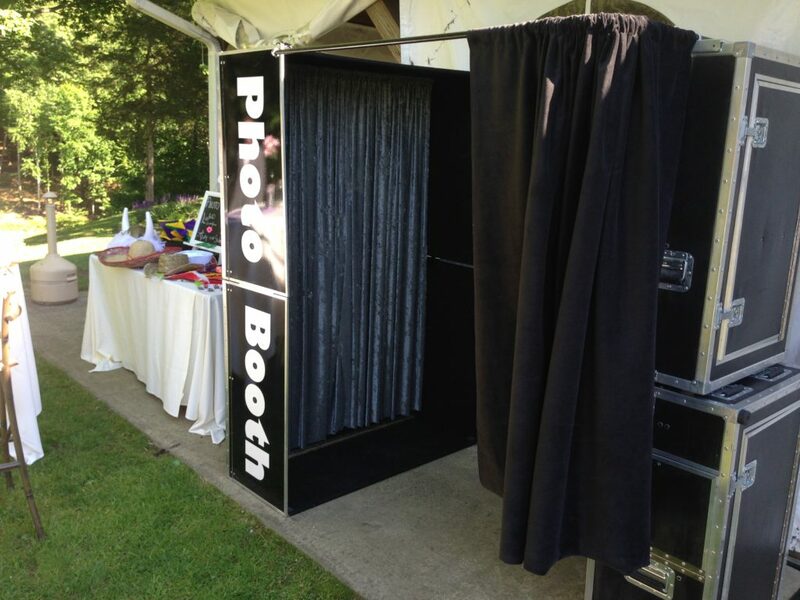 ENCLOSED HARD SHELL: This is a black, solid enclosure that has the words Photo Booth on its sides. It comes with your choice of black or white side curtains. Its cozy 4×6’ interior accommodates up to six guests. 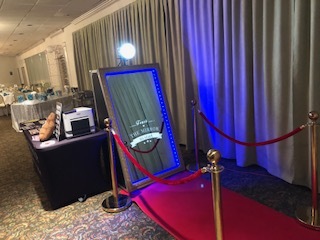 MIRROR: Sometimes referred to as “Magic Mirror” or “Mirror Me.” This is totally interactive with colorful animations and sound that give instructions. 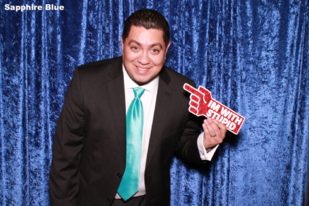 Red carpet and brass stanchions with red velvet ropes are included at no additional charge. Delivery, setup, tear down and removal with an on-site attendant for the duration. Delivery and set up take place before your start time and tear down and removal take place after your end time. Delivery is typically one hour before start time. Professional studio lighting, DSLR cameras and lab-quality printers — The prints are immediately dry/smudge proof and waterproof. They will last a lifetime! Choose between two 2×6″ strips or one 4×6″ postcard printed per session. All prints are designed by your instructions. The 2×6″ prints are cut in half by the printer, not by hand, so they have a truly professional finish. 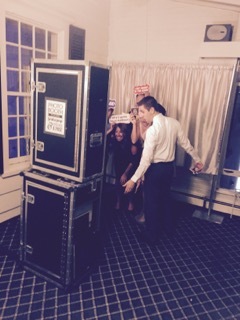 Prints have four pics on each, whereas the mirror booth has three. 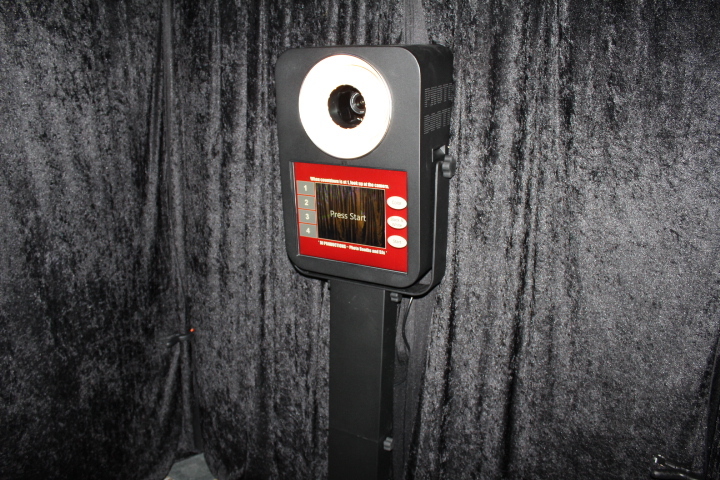 Touch-screen monitor with live view so everyone can see themselves as they pose. Choose between Color or Black & White prints. 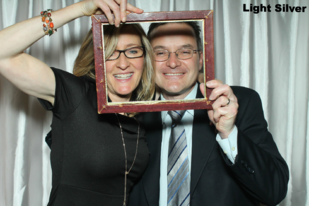 (Live view and color/black & white option is not available with the mirror booth, which only prints in color). Touch the Start button when ready. The pictures are taken with a countdown between each one. 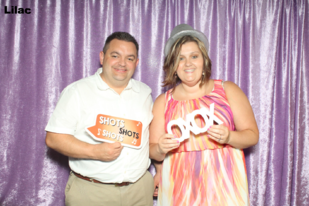 Basic Props – Sign props, household items, plastic hats, big glasses, etc. A copy of all prints and individual pictures on a USB flash drive given to you at the end of your event. 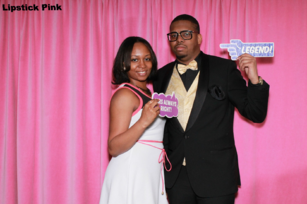 Instead of one of our backdrops, we can use a customized backdrop you have designed and purchased. There are many sites on the internet that do such and we will be more than happy to offer some suggestions. Step and Repeat mimics the process of celebrities stepping onto the red carpet in front of the backdrop, doing some poses for the paparazzi and then stepping off. The next celebrity “steps” up and “repeats” the process. 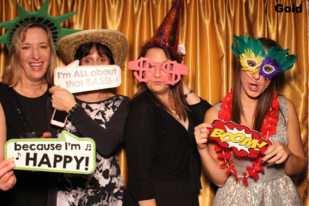 You and your guests will feel glamorous posing in front of your customized backdrop. 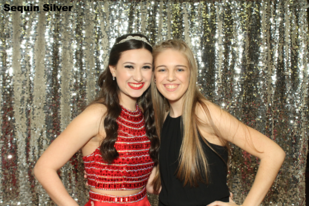 While these backdrops were once only used at award ceremonies and trade shows, they are now very popular at Weddings, Sweet 16s and Corporate Events. 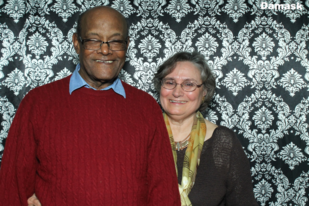 “The services were great. We do not have any complaints. 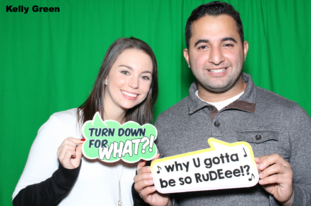 The DJ was great, accommodating, courteous and pleasant as well as the Photo Booth Attendant. I hope to be using you again in the near future. I have guests that were interested in your company, I have given out your information for them to contact you. You are so welcome for the food. It was my pleasure. And it was so nice working with you, you made is so easy for me with the crazy month I had. 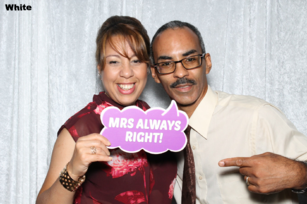 I appreciate you being patient and so helpful with me and helping my daughter with the montage. 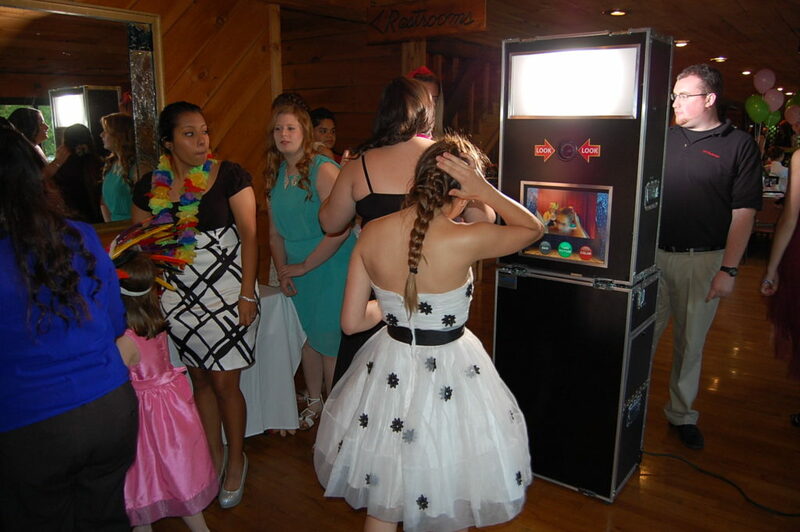 I hope to meet you in the future.” – Gioia M., Sweet 16 at the American Legion, Monroe NY (Photo Booth and DJ). 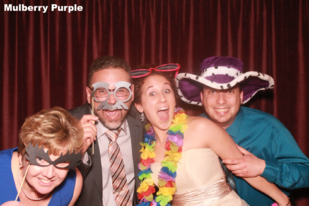 High-quality Photo Booth Rentals at Affordable Prices, starting at $550 for 4 hours.